Hoyt Nicholas of Worland, Wyo., formerly of Colome, was named the 2015-2016 Gatorade Wyoming Boys basketball player of the year. Nicholas is the son of Dave and Kathy Nicholas of Worland, Wyo., formerly of Tripp County. Dave was the superintendent of the Winner School District and Kathy taught in Winner. Colome grandparents of Hoyt are Larry and Sharon Bertram. 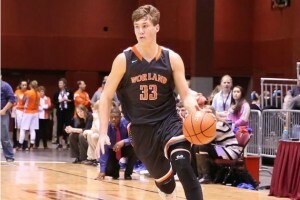 Nicholas is the first Gatorade Wyoming boys basketball player of the year to be chosen from Worland High School. The 6-5 200 pound senior guard led his school to a 20-4 record and the Class 3A state title this past season. A two time first team all-state selection, Nicholas averaged 25.8 points and 9.6 rebounds per game and shot 82 percent from the free throw line. He scored a game high 25 points to go with 11 rebounds in Worland’s 65-51 win over Douglas in the state title game. This was Worland’s first state championship since 1921. Nicholas has maintained a 3.44 GPA in the classroom. Sidney James Bierema, son of Peter and Sadie (Schotanus) Bierema, was born July 18, 1929 in the Springfield area. He passed away Friday, March 18, at the Good Samaritan Society in Tyndall. Sid attained the age of 86 years and eight months. As a young boy, Sid attended Trumbo and Quinn Country Schools and graduated from the eighth grade. He was active in the community through his service as a Quinn School board member, 4-H leader and as a member of the Emmanuel Reformed Church Consistory. On July 7, 1949, Sid was united in marriage to Arlene Cornelia Tjeerdsma, the daughter of Peter and Annie (Odens) Tjeerdsma. Their union was blessed with five sons and six daughters: Allen, Charlene, Harvey, Myron, Aletha, Ivan, Vera, Miriam, Arlis, Amy and Theran. Sid loved reading anything related to farming and livestock. He was not one to sit around, as he always found something to do. Sid entered the Good Samaritan Care Center on September 18, 2008. 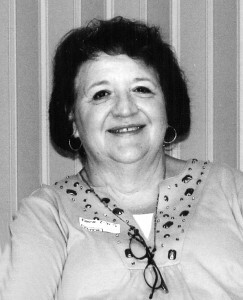 Dorothy Emma Agnes LaPointe Dillon Lunderman was born on June 7, 1921 in Billings, Montana to Samuel LaPointe and Clara Courtis. She passed away on February 2, 2016 at the Rapid City Regional Hospital Hospice of the Hills in Rapid City, South Dakota surrounded by family. 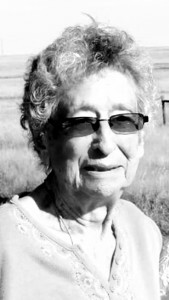 Dorothy spent her childhood years in Billings, Pryor, Hardin, and St Xavier, Montana. When she was approximately 12 years old, the family relocated to Rosebud, South Dakota. She attended St Mary’s School for Girls in Springfield, South Dakota, and learned to play the piano while attending St. Mary’s School for Girls. Upon leaving St. Mary’s School for Girls and returning home to Rosebud, her career as an organist began. She graduated from the Rosebud Community High School on May 20, 1938. On June 9, 1939 Dorothy married Jesse Dillon in White River, South Dakota. To this union, one son was born, Hubert Dillon, on March 4, 1940. The family lived in Rapid City, South Dakota for a period of time. Jesse Dillon passed away on April 7, 1944 leaving to mourn his widowed wife, Dorothy, and their son, Hubert. Dorothy met Lewellyn “Buck” Wright and to this union, one son was born, Richard “Tuffy” Wright, on July1, 1946. Dorothy married Theodore “Ted” Lunderman on January 14, 1947. Richard “Tuffy” Wright was adopted by Ted, thus, this union joined two families which included seven children: Alex Lunderman Sr., Keith “Korky” Lunderman Sr., Vernon “Babe” Lunderman, Rueben “Buzz” Lunderman, Alfreda Lunderman, Bonnie Lunderman, Hubert Dillon, and Richard “Tuffy” Lunderman. Ted passed away on June 3, 1989. Throughout the years, Dorothy was also employed at the Dam Café, PHS Hospital, Rosebud Boarding School, Paulhamus Store, Dakota Plains Legal Services and Sinte Gleska University Library. Dorothy also attended classes while employed at the Sinte Gleska University Library. Many of the employees and students at the Rosebud Boarding School became family. Dorothy and Ted always had an “open door” to their home. They took in several children and raised them as their own: William “Bumps” Eastman, William “Bill” Means were two who were very dear to her. Dorothy had many nieces and nephews whom she loved and cherished throughout her lifetime. She also had a special friend, Jeanette Damon, who became her traveling partner after Ted’s passing. Family was important to Dorothy and she made a point to visit whenever she could. Dorothy loved her children, grandchildren and great grandchildren but her heart held a special place for her great great grandchildren feeling fortunate that she was able to share their lives with them and know them. She will be remembered across the miles for the beautiful organ music she shared over a span of 65 years. Dorothy played for just about every occasion she was asked, weddings, wakes, funerals, anniversaries, and church services in every denomination. Fern was born on August 6, 1929 in Hastings, Nebraska. She was one of three children born to Alfred and Amanda (Einspahr) Rieck. Fern was united in marriage with Donald M. Jorgensen until his death on July 3, 2003. Fern’s greatest love was her spouse, friend and lover, Don M. Jorgensen. They truly loved each other every day of their marriage. Fern also dearly loved family and friends. Fern was a talented artist, primarily with ceramics and quilting. For many years Fern operated a ceramic shop where she taught others the art of ceramics. She loved the art of quilting and was proud to show off her many treasures. She and Don were a team when it came to furniture making. Don would construct the furniture and Fern would generally provide the finish to each piece. Many of Don and Fern’s furniture pieces can be found in homes throughout the Winner area. Fern also loved gardening, having the most beautiful garden at their farm in Ideal, SD prior to moving to Winner. Jim Kewley, age 83, of Emporia, died Sunday, March 13, 2016, at his home. The son of William and Mary (Schultz) Kewley, James LaVerne was born February 18, 1933, in Persho, SD. He served in the US Army during the Korean War. 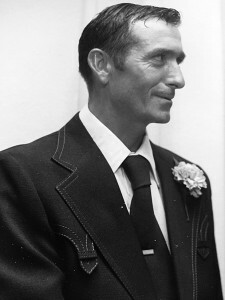 He and Alma Jean Brown were married October 5, 1959, in Pierre, SD. He was a farmer/rancher while they lived in Tripp County, SD. After they moved to Chase County, he worked for Neosho Construction as a truck driver until his retirement in 2000. He was a member of the American Legion. He enjoyed the company of his dogs and spending time with his family. Tonna was born September 12, 1952 to Frank, Jr. and Leona (DuBray) Pechota, she graduated in 1970 from Colome High School and cherished her longtime school friends. Tonna was baptized, confirmed, and later, a sacristan and Eucharistic Minister at St. Isidore’s Catholic Church in Colome. She attended Black Hills State University in Spearfish, SD and met her husband of 43 years, Mack Cox. They were married February 3, 1973. After a short time in Virginia, they moved back to Colome to start their family. Tonna and Mack raised their four daughters in her hometown. She never missed morning coffee with her dear friends Connie Flakus and Kathy Weiler and many other ladies that joined them at the kitchen table. She worked as the city secretary and managed Cox Drywall. 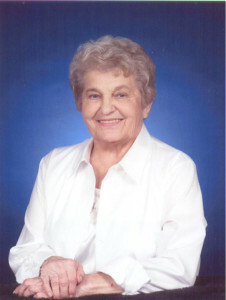 Tonna was a member of the Colome School Board, enjoyed working for US Census and was a longtime election volunteer. Her grandchildren were her greatest treasures. For many years, all the kids enjoyed summer vacations in the Black Hills with Nana and Papa. A love of travel took her all over the world. Over the years, she enjoyed spending time at Katonka Cabin in Hill City and vacations to Rome and Paris with her very special sister-in-law Julie. Tonna and Mack also made time for shorter trips to auctions and other cultural activities. Tonna’s ability to make others laugh was her most admired trait. She taught her daughters and close friends how to see the humor in any situation. Billie H. Sutton of Burke announces his campaign for re-election to the State Senate representing District 21. Legislative District 21 is composed of Tripp, Gregory, Charles Mix, and the Northwest portion of Bon Homme Counties. Sutton has served the past six years as Senator for District 26 and District 21. Billie is the son of Bill and Renee Sutton from Burke, and he grew up on the Sutton family ranch 26 miles northeast of Burke. Sutton graduated from Burke High School in 2002 and was very active in sports during his high school years participating in football, wrestling, track, choir, band, as well as high school rodeo. Sutton attended the University of Wyoming on a rodeo scholarship, and he competed in both college and professional rodeo from 2002 to 2007. Sutton had a very successful rodeo career but it was cut short in October of 2007, after a horse flipped over in the chute at the Badlands Circuit Finals in Minot, North Dakota, breaking his back. Sutton has been very involved with his community: by substitute teaching, coaching middle school football, becoming an active member in the Burke Community Club, Burke Riding Club (President), and a member of the Lucas Baptist Church. Sutton has a Business Finance degree from the University of Wyoming and currently works for First Fidelity Bank as an Investment Services Officer, as well as helping on the family ranch. 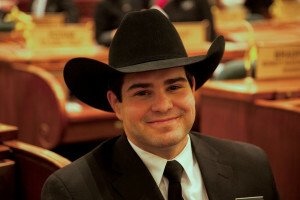 Sutton was elected to the State Senate in 2010 at the age of 26. Education and agriculture are two issues that are very important to him. Sutton is very passionate about education; he believes that we need to give every child the opportunity at the best education possible, and that means keeping our rural schools relevant and vibrant. He says that agriculture is important to him because, “without farmers and ranchers who raise livestock and crops, our state’s thriving economy and infrastructure would not exist.” Sutton served on the Appropriations Committee for his first four years in Pierre. The last two years he has served on Senate State Affairs, Commerce & Energy, and Local Government. Sutton has also served on several other task forces and interim committees including: State Tribal Relations, Legislative Planning Committee, Primary Care Task Force Oversight Committee, Blue Ribbon Task Force, SD Healthcare Solutions Coalition Work Group, and the Ag Land Assessment Task Force. Billie can be contacted by email at billiehsutton@gmail.com or on his cell phone at (605) 830-5540. PIERRE, S.D. – Gov. Dennis Daugaard signed three Native American education bills into law. The bills were the result of the Native American Student Achievement Council established by the Governor in 2015. The group was assembled to identify strategies for improving achievement and graduation rates among South Dakota’s Native American students. · SB 9 – An Act to make an appropriation to fund the Native American achievement schools grant program and paraprofessional tuition assistance scholarship program. · SB 81 – An Act to create the paraprofessional tuition assistance scholarship program. · SB 82 – An Act to establish the Native American achievement schools grant program. SB 9 allocates $2.2 million to fund the programs created by SB 81 and SB 82. The program established by SB 81 will provide tuition assistance for paraprofessionals to become fully-certified teachers. To be eligible for the program, a paraprofessional must be serving at a school with at least 50 percent Native American enrollment and the school must have below average state test scores. Under SB 82, the Department of Education will award grants to three schools to start pilot programs aimed at improving academic outcomes for Native American students. Jim Drake, Winner High School boys basketball coach for 31 years, will be inducted into the basketball coaches Hall of Shrine at the Class A boys tournament in Rapid City on Friday, March 18. Also inducted with Drake will be Frank Cutler of Platte. The award will be presented at the halftime of the first evening game on Friday. 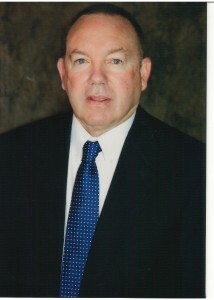 Drake served as a teacher, coach and activities director in the Winner School District for 31 years. Previously, he taught and coached in Sterling, Colo., for eight years. Drake, a Huron High School graduate, earned a BA at Huron College and his MA at the University of South Dakota. He coached three sports (football, basketball and track and field) for 30 consecutive years and was the activities director for six years. Under Drake’s tutelage as head basketball coach, the Winner Warriors accumulated 421 wins and 257 losses and 8 conference, 12 district and 4 regional titles and four Class A state tournament appearances with two consolation championships. The Warriors, during his tenure had 26 winning seasons and produced eight first team Class A all-staters and 2 Mr. Basketballs. Seven former Warrior basketball players are four year collegiate players. Drake is proud to have 12 former Warriors currently coaching basketball in South Dakota including five head coaches. Air Force Tech Sgt. Toby Harter, formerly of Colome, received an unexpected STEP up award at Warren Air Force Base in Cheyenne, Wyo. 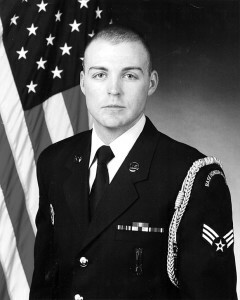 Harter, a 2007 graduate of Colome High School, is the 90th missile wing airman leadership school professional military education instructor. Harter is the son of Ferman and Sally Harter of Colome. The program supplements existing airmen promotion programs and is designed to accommodate unique circumstances that, in the commander’s judgment, clearly warrant promotion.